In this second blog post, I’ll talk about funding life-changing gifts for people suffering in poverty. In part one, I focused on loving generously through words of encouragement. There are about one billion people across the world living in extreme poverty. I genuinely care about those who are suffering, and want to do what I can to provide for their needs. That’s why I created Noteworthy Cards to be a not-for-profit social enterprise, rather than a for-profit business. I wanted to sell a range of cards that not only provided a way for people to express words of encouragement, but also made a difference for people in need. I loved the idea that one card could be a blessing to multiple people: firstly to the recipient, because they receive encouragement from the words in the card; and secondly to someone suffering in poverty, because profit from the sale of the card is used to fund a life-changing gift for them. It’s a win-win. Noteworthy Cards donates 100% of profits towards TEAR Australia’s Useful Gifts. Those funds are then used to support poverty-fighting projects run by accredited organisations in multiple countries around the world. I love the way that TEAR Australia facilitates long-term development projects with local communities, helping them gain the skills and resources they need to address local problems and come up with sustainable solutions. Everyone gives greeting cards, but now you can give cards which make a difference for more than just the recipient. With 100% of profits being donated towards gifts that support community, education, good food, good health, safe water and sanitation, together we can change lives for the better. I’m pleased that many people have already seen the value in purchasing poverty-fighting greeting cards instead of regular greeting cards, and I hope that many others will join them in making a life-changing impact for people in need. 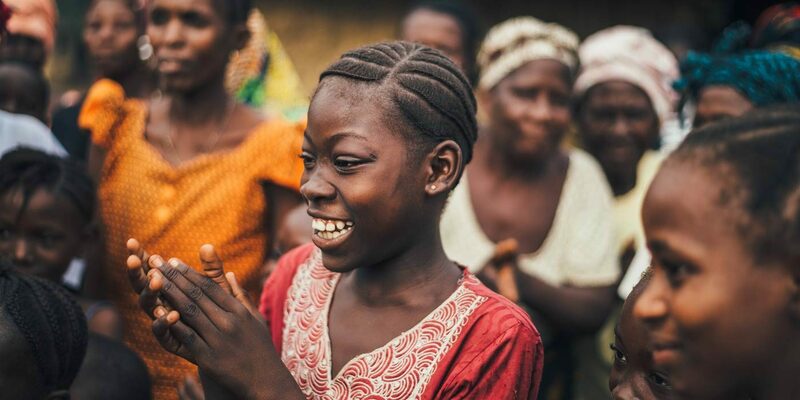 When you buy from Noteworthy Cards, the encouraging words you write in the card are a gift to the recipient, and the card you write them in will help fund life-changing gifts for people suffering in poverty. That’s why Noteworthy Cards exists, and that’s why its tagline is ‘The gift of words’. James is the Founder of Noteworthy Cards. One of the reasons he created this social enterprise is because he's not a natural gift giver or card writer! He aims to become better at loving generously through words of encouragement, and hopes to help others do likewise.